One of the biggest and most immediate factors in how a piano “feels” to the player is the key dip. You’ve probably played a piano with very shallow key dip, and disliked it, but not been able to put your finger on the culprit (pardon the pun).The keyboard may have felt sluggish, clunky, hard, unresponsive, or just plain weird. Key dip is the distance the key travels downward when you play it. As pianists, we are used to a key dip of about 3/8″, and even the smallest fraction of an inch makes a significant difference in how the piano feels. Part of this is due to the fact that the key dip is directly related to several other action regulation items, such as how far the hammer travels, at what point it stops being driven by the action (let-off), how far the key continues to move after let-off (aftertouch), and the timing of damper movement. 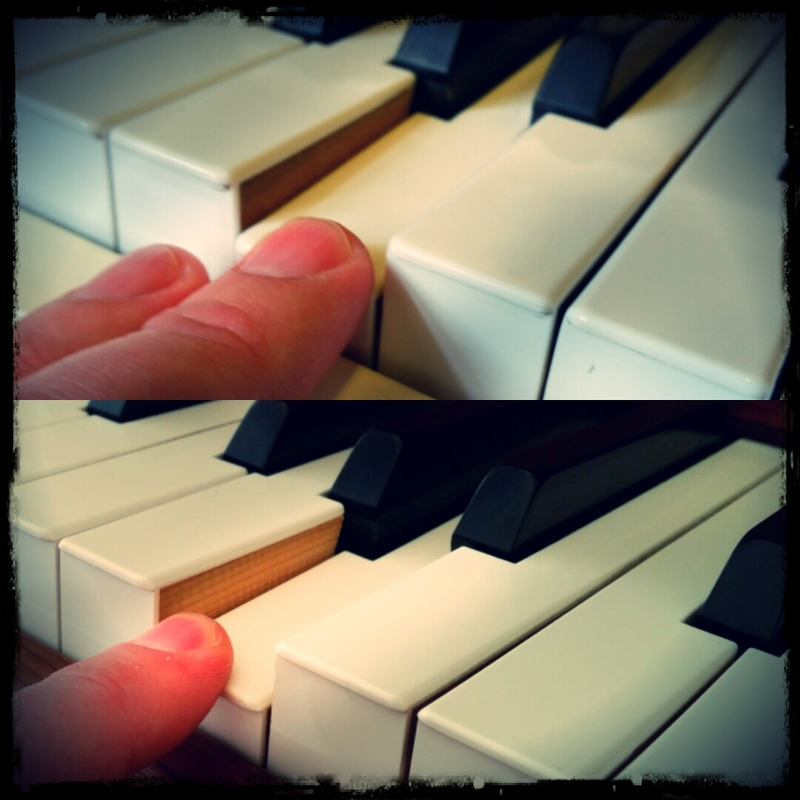 Recently, I have worked on two different pianos that have had significantly shallow key dip. This is often due to somewhat spotty regulation work in the past, perhaps to give a bandaid repair to other regulation issues. Key dip is adjusted by felt and cardboard punchings under the fronts of the keys. While the difference between the two pictures may seem minimal, the difference in feel is enormous. The top picture is a keyboard with excessively shallow key dip, and the bottom picture is a keyboard with proper key dip.